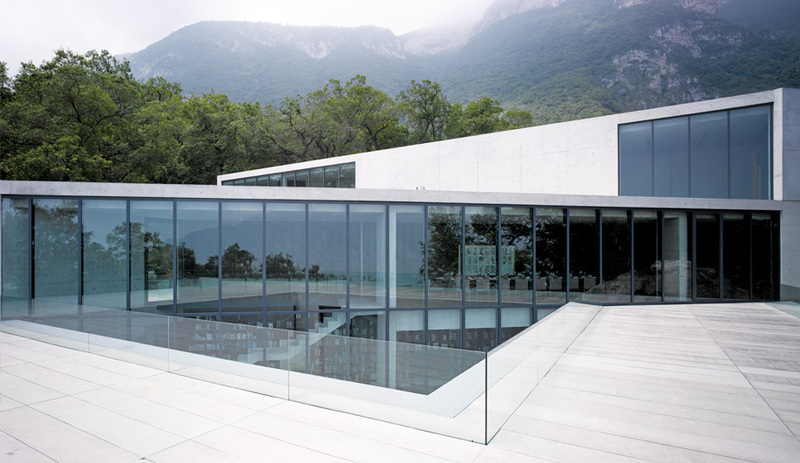 At the core of the four-bedroom house, an expansive library faces a two-storey glass wall. 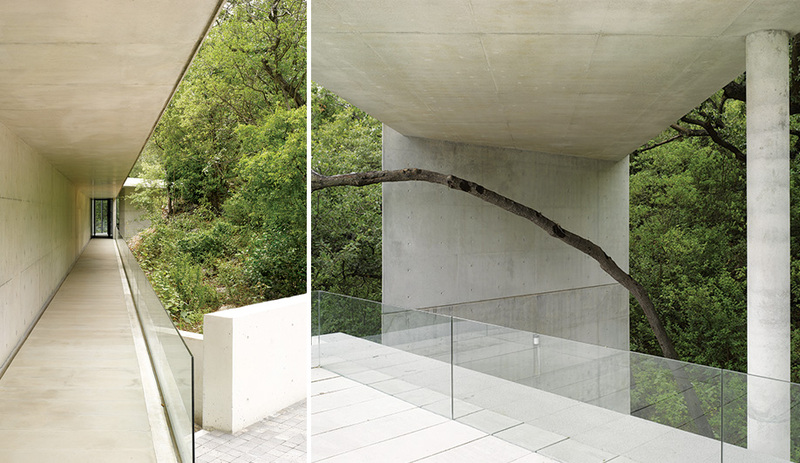 Typical of Ando, concrete is used to frame what is beautiful and block out what is not. 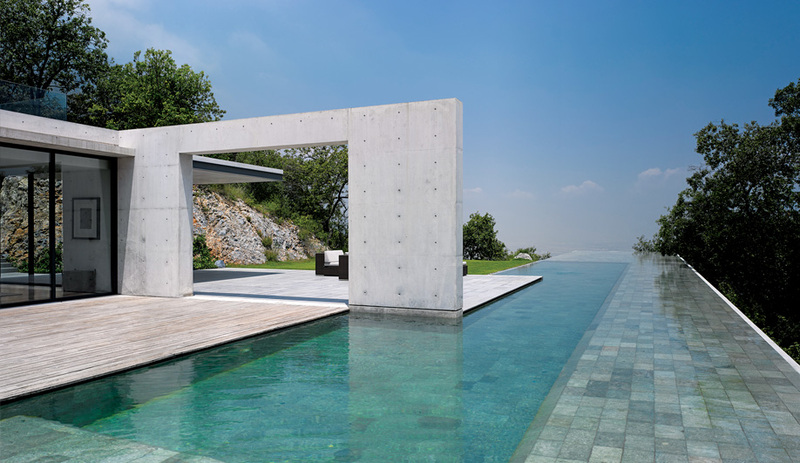 An expanse of concrete serves as a terrace next to the pool. 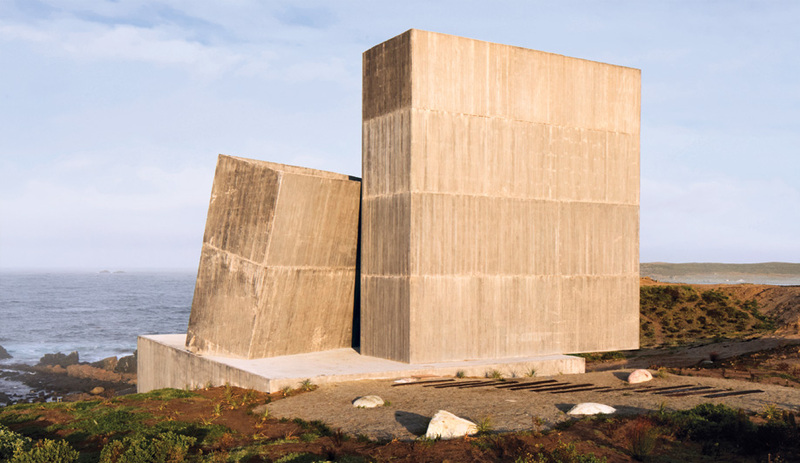 The owners started their own construction company to ensure that the concrete would be on par with other projects by the Pritzker Prize–winning architect. The design works with, and around, nature. Here, a tree branch arches its way through a pergola, and pathways frame untamed foliage. The pool is 48 metres long, with a 25-metre swimming area surrounded by shallow reflective sections. One portion juts outward beyond a slope and overlooks the city of Monterrey. The ultimate sign of luxury is indicated in the most unlikely of places. For Casa Monterrey, the first residential project in Latin America by Japanese architect Tadao Ando, it’s the empty bookshelves in a double-height library, whose narrow enclosure cuts diagonally through the quadrangle inspired by Mexican haciendas. Covering the entire wall on one side, the darkly painted bookshelves rise in sharp contrast to the glazed end of the wall. The shelves don’t need to be filled any time soon. For now, they can simply store the dreams and aspirations of the house’s occupants, and therein lies the luxury. The library has been designed as the core of this family house. It also works as a transitional space between the guest quarters, where the main entrance, a gallery and a guest bedroom are located, and the family quarters, where an open plan kitchen–dining room, a family living room, a master suite, children’s bedrooms, a wine cellar and a gym are all neatly arranged around two triangular inner courtyards. 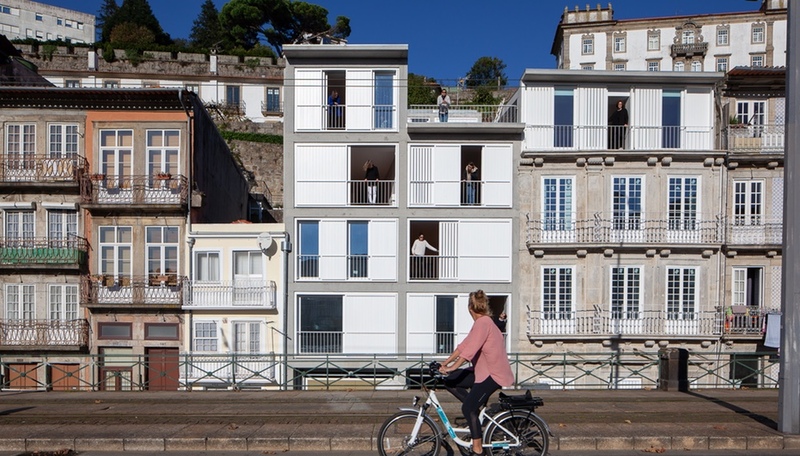 For a house that sprawls over a total floor area of 1,500 square metres, the procession from public to private advances in a leisurely manner. Wedged into a mountain slope, part of the Cumbres de Monterrey National Park, it stands 900 metres above sea level and well above the rolling tropical mists. 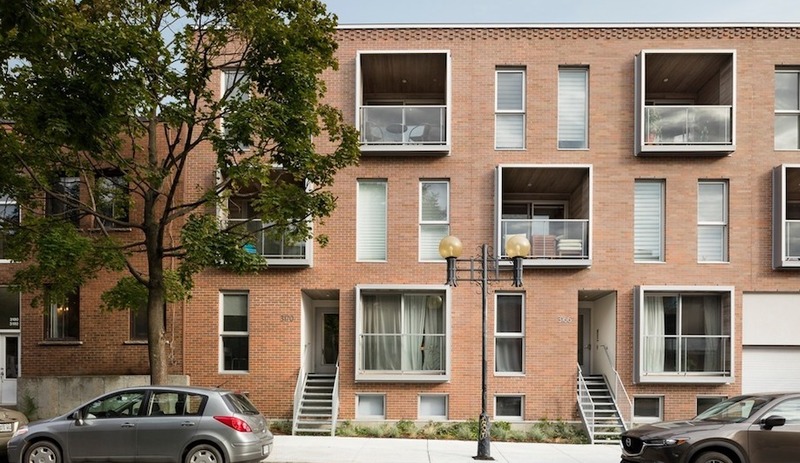 To reach the Pritzker Prize-winning architect, the clients had to rely on a contact from the Japanese embassy in Mexico City to act as a go-between. At first, Ando was reticent about getting involved. “We persisted and wrote him a long letter explaining that if he were to design our house, he would be creating a little piece of heaven here on earth,” the clients explain. How could he resist such an inviting proposition? To further reassure Ando, the owners set up a new construction company, called Paralelo, to do all of the concrete work. “There was no company in Mexico that could match the quality Ando would expect,” he explains. Two experts, Yukio Tanaka and Kohei Sugita, were promptly dispatched from Japan to train local workers in situ. 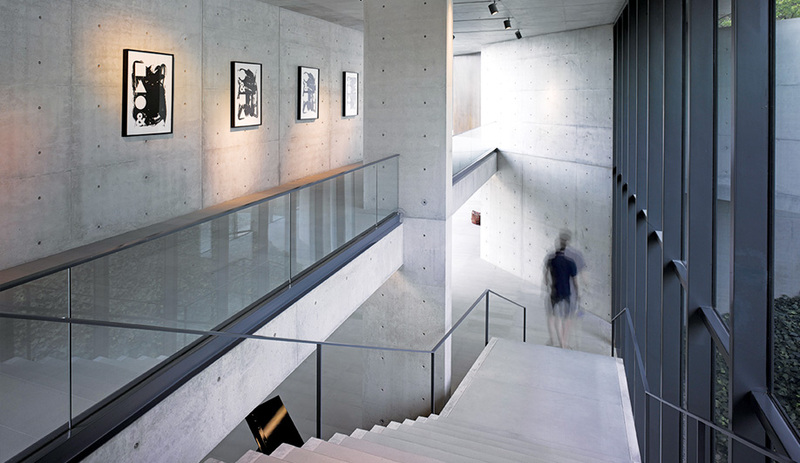 The result is a faultless execution of exposed concrete that clads both the interior and the exterior. Despite being equipped with a perfect geometry of smooth planes and elegant cantilevers, the house does not dismiss the unruliness of the surrounding landscape, with lush greenery incorporated into the design. For instance, one particularly twisted branch of a large tree navigates through an enormous pergola. As imposing as it may be, Casa Monterrey is as generous as nature itself, at times appearing like a demanding diva digging in her heels, at others acting more like her diligent, loyal servant, who retreats into the background, letting her boss (in this case, nature) take centre stage. 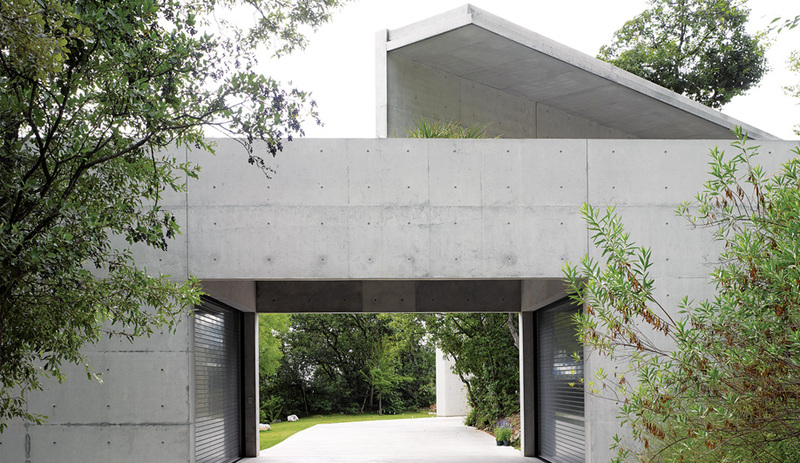 Ando’s concrete typically hides everything that is mundane while exposing everything that is spectacular. The distant mountains of Sierra Las Mitras are framed perfectly for viewing from the library’s upper level. 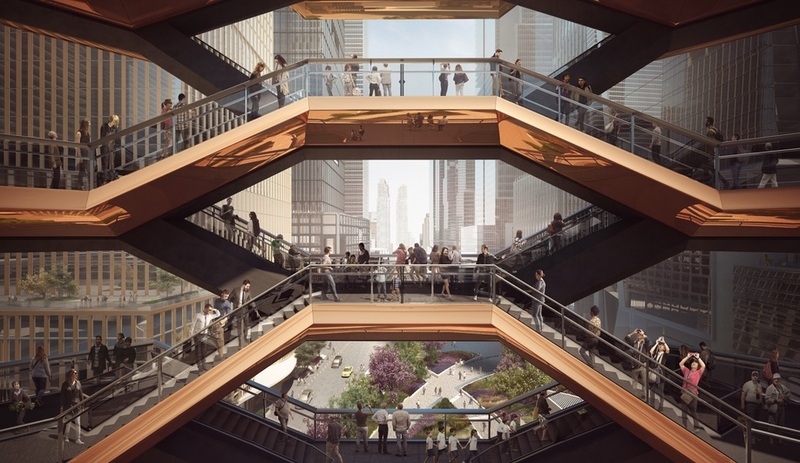 As we descend the floating staircase, the view gradually shifts inward to the water-filled triangular courtyard. Most rooms in the family quarters face the inner courtyards, with the exception of the master suite and the living room, both of which overlook the pool terraces. 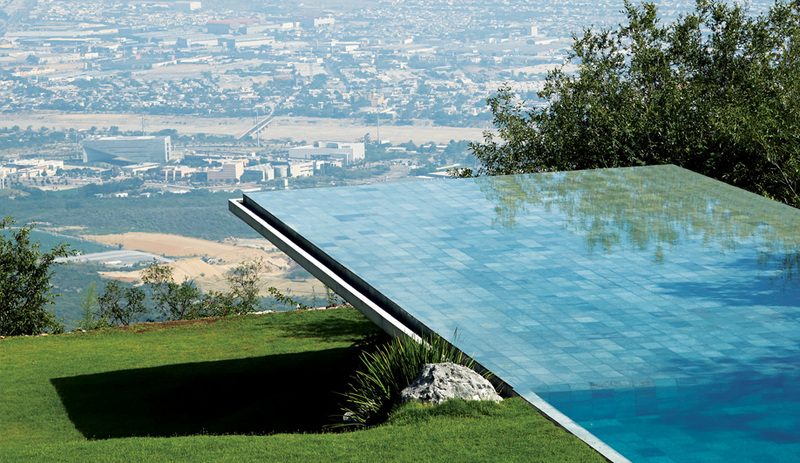 At the end of the leisurely procession is the outdoor swimming pool, whose thin edge cantilevers out of a gently sloped hill. A parallel may be drawn here between this platform of water and the mainstage of Japanese Noh theatre, especially when the pool is coupled with the angled walkway that greets guests on arrival. In its relative length and structure, Ando’s entrance resembles hashigakari, a passageway that leads Noh actors from the curtain to the stage. If Casa Monterrey evokes the formality of old Japan, it does so gradually through a circuitous unfolding. Ando must have known, almost instinctively, that to create “a little piece of heaven on earth,” he needed to slow down the pace of the viewer.